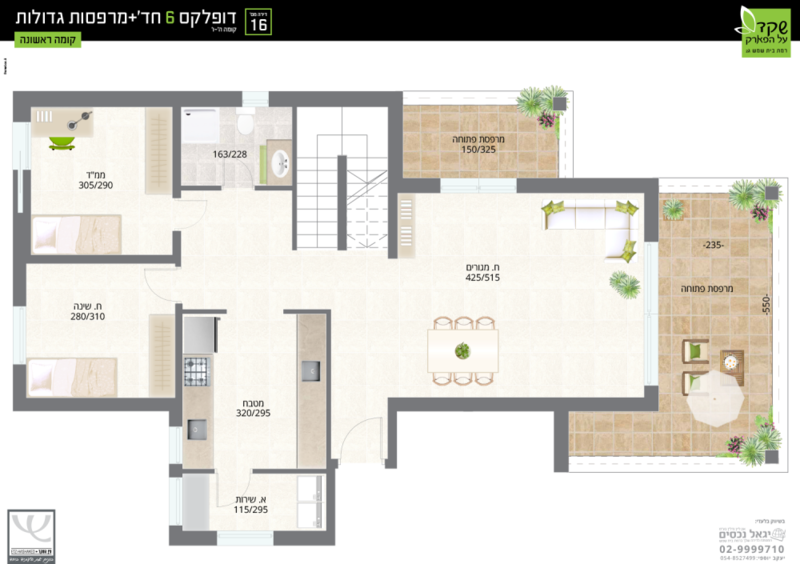 Located on the fifth & sixth floor of the building. 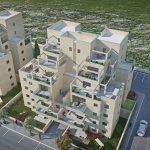 This 2 story penthouse has multiple porches on both levels. 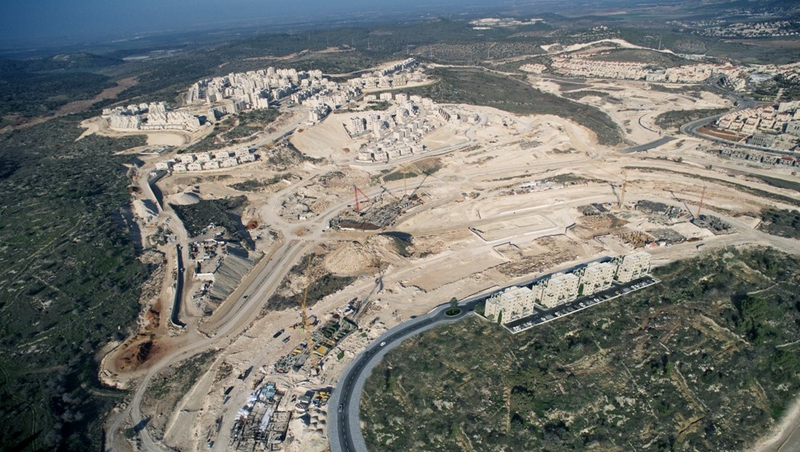 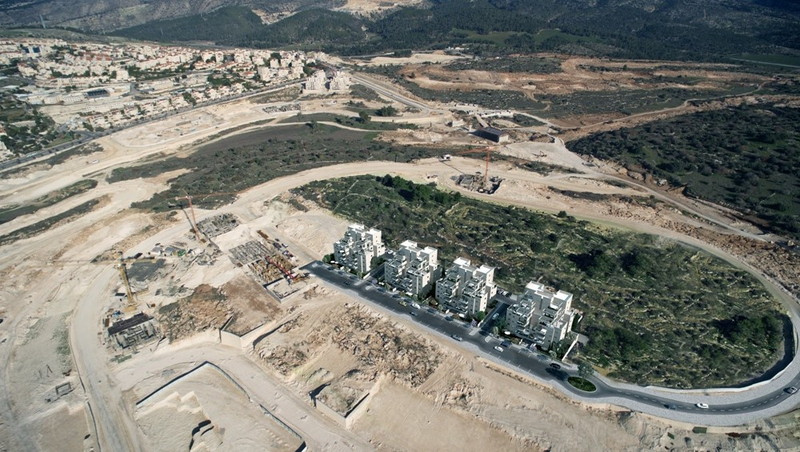 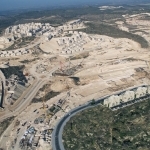 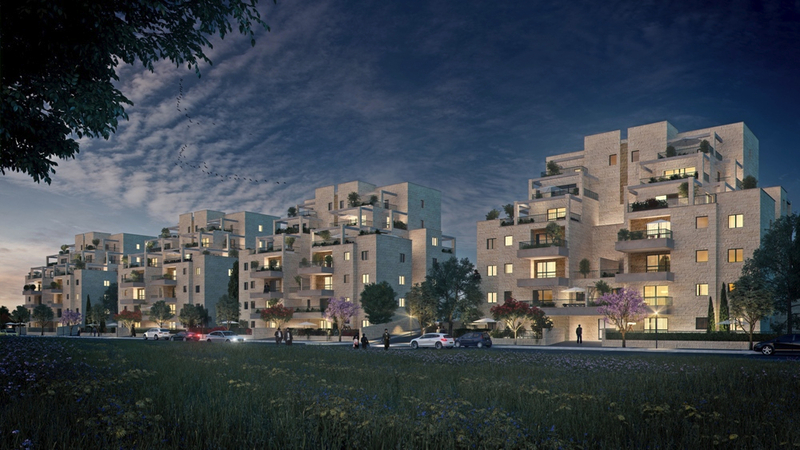 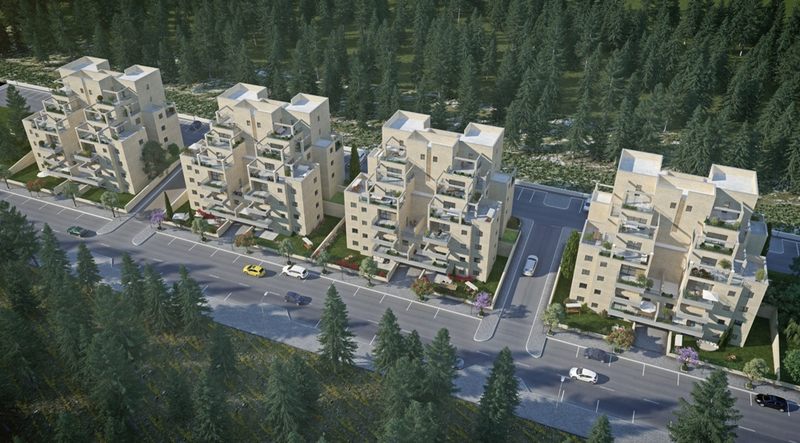 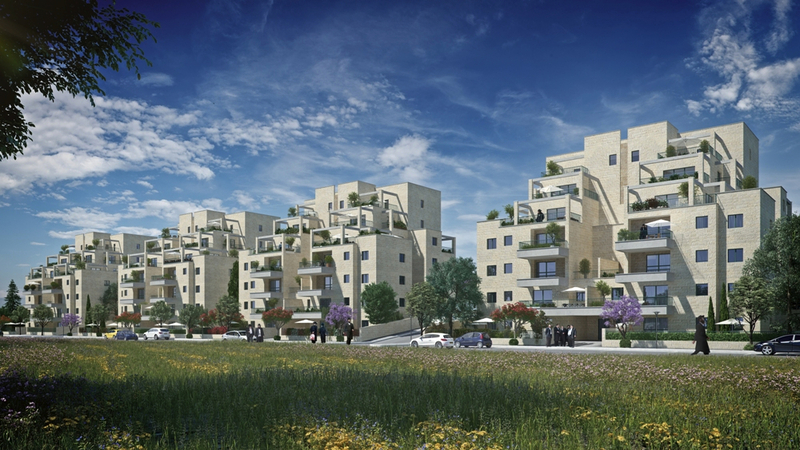 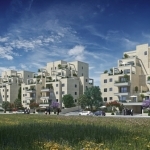 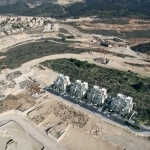 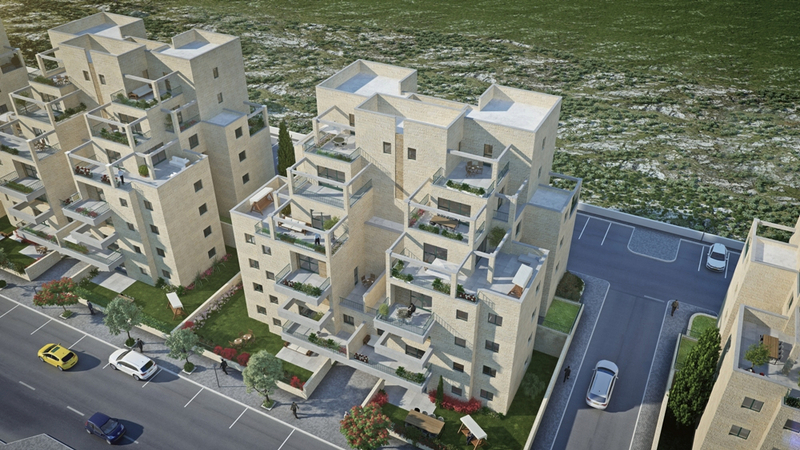 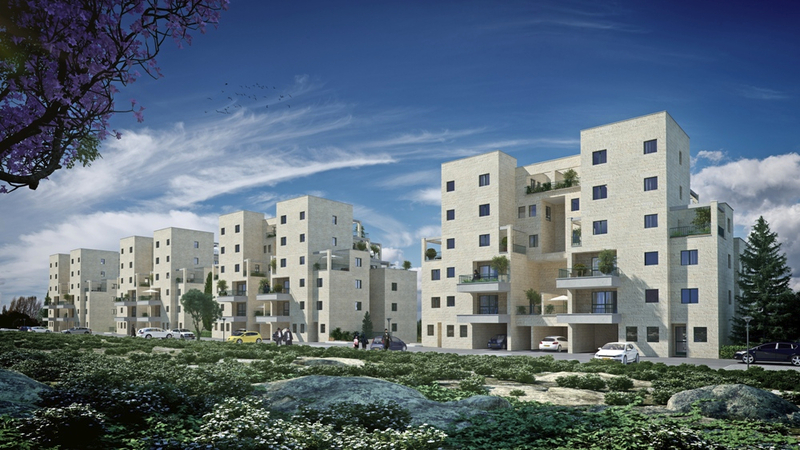 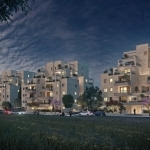 The Shaked on the Park development is a total of 4 building with 16 homes in each building. 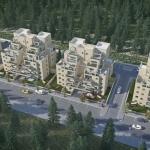 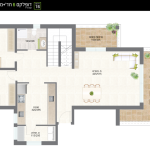 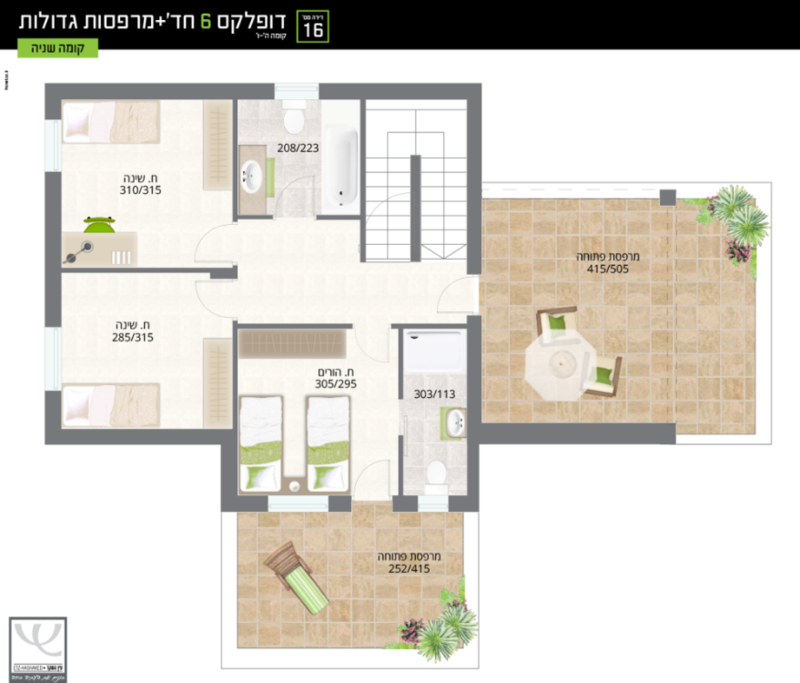 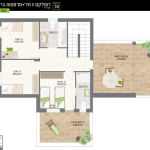 Located in the Gimmel2 neighborhood which is nestled right in between Aleph, M3 and Gimmel. 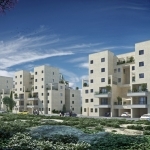 The project is scheduled to be completed in late 2018.